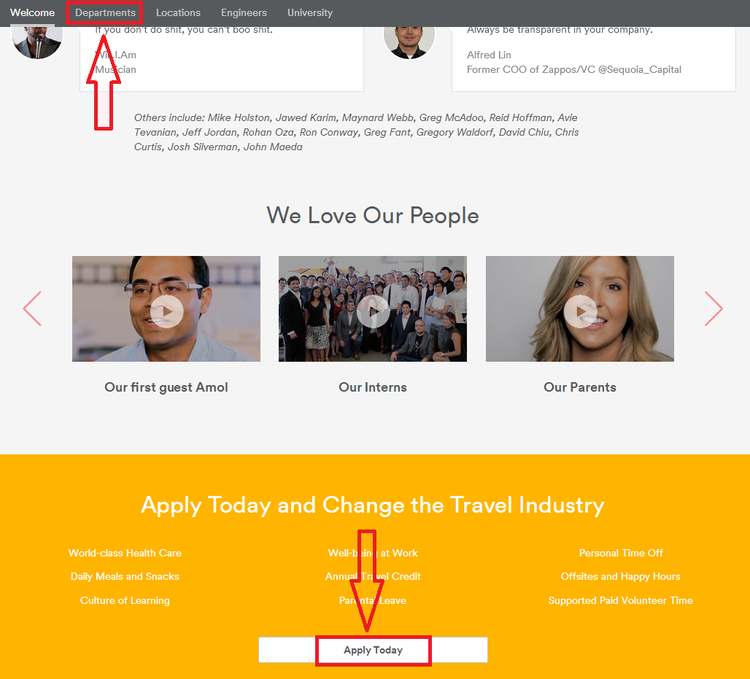 To apply for a job at Airbnb, you need at first to land on https://www.airbnb.com/careers and then you get two methods to apply for a job, by clicking “Departments” in the brown navigation bar or scrolling down your mouse and clicking “Apply Today” at the bottom of the page. 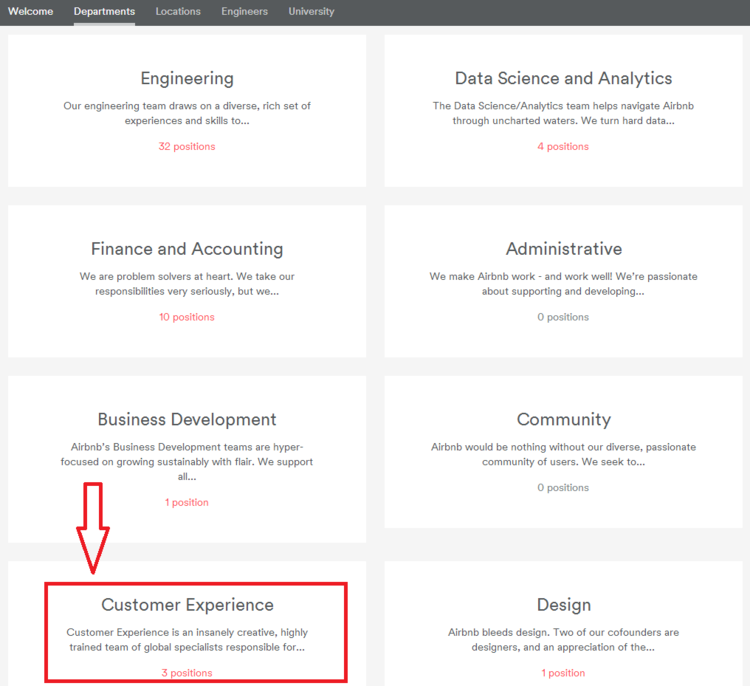 Various departments will be displayed in the new page after you clicked “Departments” or “Apply Today” in the last step. You may choose one in accordance with your personal experience and qualifications. Note that not all departments have vacancies. 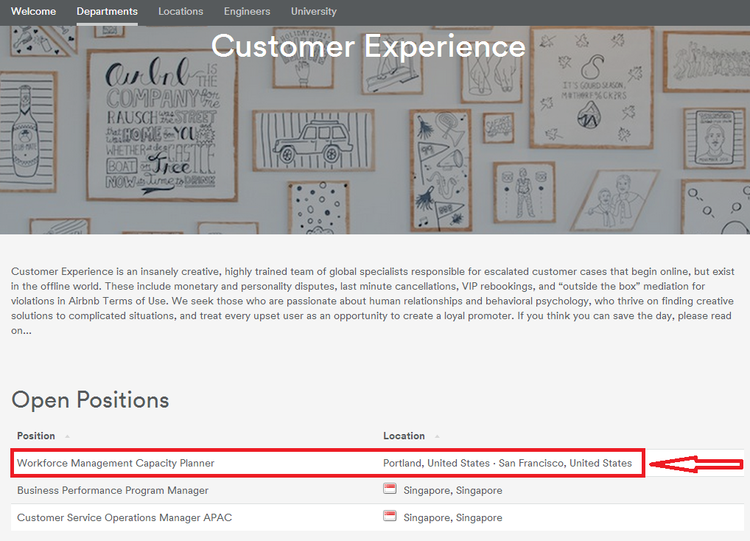 Click the department with job openings you’ve chosen to continue. Take “Customer Experience” for example. 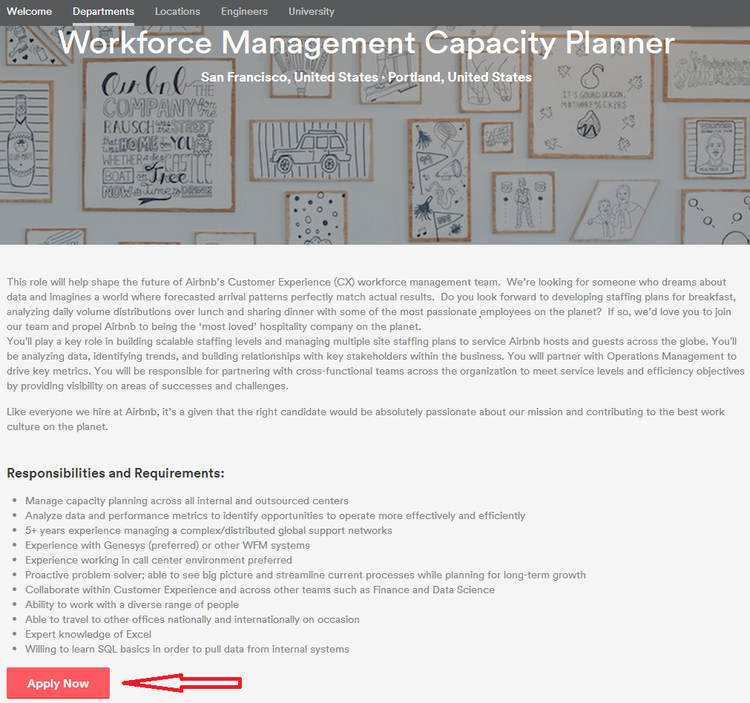 After you’ve selected a department and clicked it, the new page will show you all available job opportunities within the selected department. Pick one with your capability taken into consideration and click it to continue. In this step, you shall read thoroughly about the job description to ensure that you are totally qualified for the job and not just waste time by applying for it. Click “Apply Now” to go on. Provide Airbnb with your basic contact information, by filling out all needed information, name, email, phone, location and so on included. Note that all asterisk parts are required. Click “SUBMIT APPLICATION” and then your online application will be fully completed. 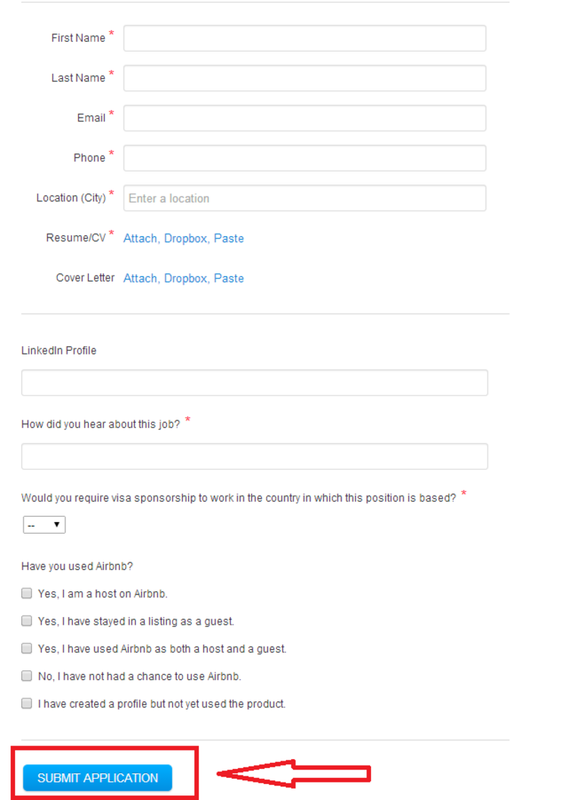 Be sure to check all information required, for some companies prefer to filter candidates by their responses to certain questions. Someone will be getting back to you if you’re proved to be equal to the job. Click www.airbnb.com/jobs to apply for Airbnb jobs online.